Showing of items in your cart. Easy-to-use pistol grip dispenser makes it easy to apply box sealing tape. Sturdy, durable tape dispenser holds 3" core tape that is up to 2" wide and 60 yards long. Adjustable braking mechanism applies tension to tape. 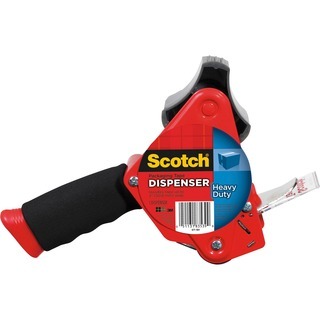 Dispenser also features a retractable blade and soft touch, pistol grip.